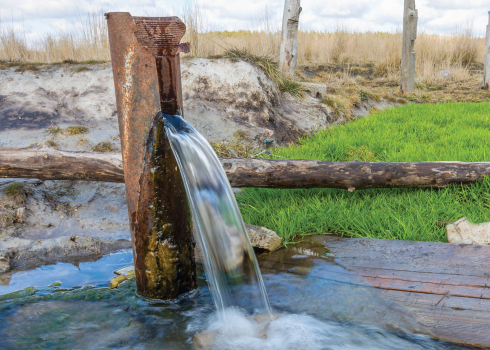 Groundwater can be used as a supplemental resource to satisfy drinking water or irrigation demand and is often is used in times of drought or rainfall uncertainty. Unfortunately, over-pumping can cause groundwater depletion. Conversely, shallow groundwater levels can threaten urban infrastructure or cultivation practices. The OWSI team conducts wide-ranging groundwater analyses and our experts use a variety of data collection and modeling methods to estimate the quantity and quality of groundwater as well as predict the impact of numerous management practices.